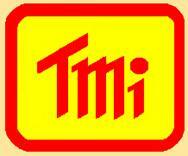 Voltage Detectors and Voltage Testers | T.M.I. Models 1ACII, LDV1, LDV2. Range 40V to 1000V AC detection, Dual Voltage Sensitivity. Easy to Use by Touching the Tip to Terminal or Cord. Voltage Tester. LED’s clearly indicate 8 AC and DC nominal voltage levels. DC polarity display. Continuity or diode test. Compact and rugged ABS case. 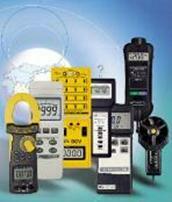 Click for FLUKE Voltage Detector Prices and specs. 1000VAC/DC 4 Digit True-RMS DMM with IGM 19,200 Pixel Thermal Camera, AC/DC Auto Select. LoZ . Low Impedance. Variable Freq Drive(VFD) Mode. Analog Bar, 99 Recordings. 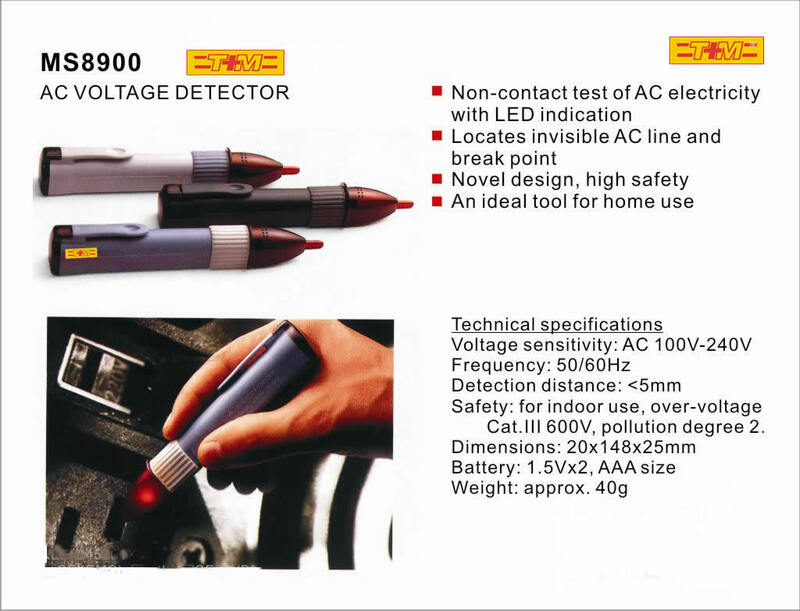 Non Contact Voltage Detector (NCV) and Flashlight. Rubber reinforced case. Vibration and Red LED alarms for noisy areas. Inspection light at probe tip.